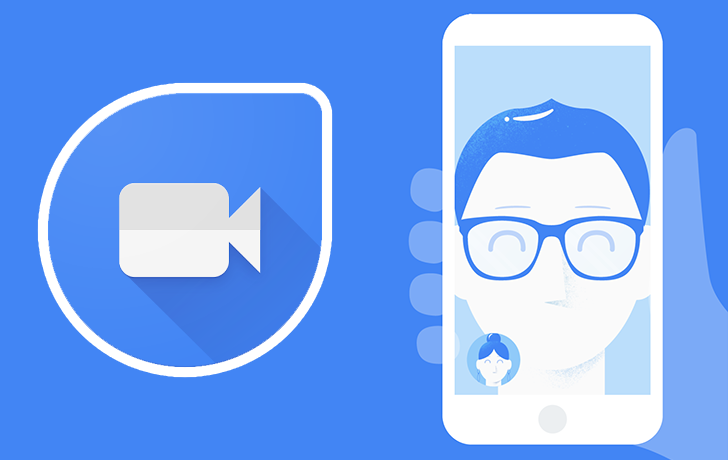 Google Duo is a simple video calling mobile app from Google. It is basically developed to replace Hangouts in the long run. It is available under Google Apps package that comes pre-installed in some smartphones. It is considered to be the simplest mobile app for one-to-one video call. It is a direct competitor of all popular video calling apps like Microsoft Skype, Apple Facetime and Facebook Messenger and WhatsApp. But the question is how this app is different from others and why you should install it. Effortless Functionalities – Google Duo is simple and effortless because all you have to do is verify your phone number and start making calls. There is no need of registration through Gmail or likewise. You can make a call with a single tap, mute the audio, block annoying people and even limit data usage. You can also maximum your own video to see if you are looking good to the other person you are calling. Tailor-Made As Per Internet Speed – Google Duo is one of those videos calling apps that let you make video calls in HD mode. But that is applicable when you have high-speed internet like 4G or connectivity through Wi-Fi. But if you have low-bandwidth internet connectivity, you can still make your video call smoothly unlike other apps which will show distortion and glitches. As a matter of fact, it keeps on adjusting the quality of the video as your internet speed fluctuates. Furthermore, it has the technique to automatically switch between Wi-Fi and mobile internet connectivity based on which has the higher net speed. Live Preview – This is the most innovative feature that sets it apart from all other video calling app. With Knock Knock feature, you can check the live video of the person who is calling you. After checking that, you can pick the call or reject it. It is helpful to avoid unknown people from disturbing you. One can disable the feature, but this will also take away his power to see others before picking up the call. Audio-Only – To give tough competition to WhatsApp, Google Duo has rolled out audio-only call. It is highly useful for females who are uncomfortable making video calls with not so familiar faces. It is beneficiary for those who want to save internet data without unnecessary making video calls. Just like WhatsApp, it provides end-to-end encryption to secure your call from being recorded or listened to indirectly. Google Duo is available on Android as well as iOS, but it has not been successful for iPhone users because of the presence of elite FaceTime. FaceTime has integration with the contact list and phone dial which enables people to call another Apple user who may not have installed FaceTime on their phone. Just for information, you can call an iPhone user from your Android phone if he has Google Duo installed. Just for the record, Google Duo was hot in the first month of its release which is in August 2016, but it slowed down quite a lot with time due to lack of all the integrated features like in Hangouts. Yet, it has managed to get over 5-10 Crores of download and it definitely deserves your attention. Go ahead, install it and give it a try.